BY REV. L. L. LANGSTROTH. Debarred, by the state of his health, from the more appropriate duties of his Office, and compelled to seek an employment which would call him, as much as possible, into the open air, the Author indulges the hope that the result of his studies and observations, in an important branch of Natural History, will be found of service to the Community as well as to himself. The satisfaction which he has taken in his researches, has been such that he has felt exceedingly desirous of interesting others, in a pursuit which, (without any reference to its pecuniary profits,) [iv] is capable of exciting the delight and enthusiasm of all intelligent observers. The Creator may be seen in all the works of his hands; but in few more directly than in the wise economy of the Honey-Bee. Eloquent lessons in their vaulted hall! Galleries of art! and schools of industry! Stores of rich fragrance! Orchestras of song! What marvelous seats of hidden alchemy! Man might learn truth and virtue from the BEE!" The Queen Bee. The Drone. The Worker, 30. Knowledge of facts relating to them, necessary to rear them with profit. Difficult to reason with some bee-keepers. Queen bee the mother of the colony—described, 31. Importance of queen to the colony. Respect shown her by the other bees. Disturbance occasioned by her loss, 32. Bee-keepers cannot fail to be interested in the habits of bees, 33. Whoever is fond of his bees is fond of his home. Fertility of queen bees under-estimated. Fecundation of eggs of the queen bees, 34-36. Huber vindicated. Francis Burnens. Huber the prince of Apiarians, 35. Dr. Leidy's curious dissections, 37. Wasps and hornets fertilized like queen bees. Huish's inconsistency, 38. Retarded fecundation productive of drones only. Fertile workers produce only drones, 39. Dzierzon's opinions on this subject, 40. Wagner's theory. Singular fact in reference to a drone-rearing colony. Drone-laying queen on dissection, unimpregnated. Dzierzon's theory sustained, 41. Dead drone for queen, mistake of bees, 43. Eggs unfecundated produce drones. Fecundated produce workers; theory therefor, 44. Aphides but once impregnated for a series of generations. Knowledge necessary for success, Queen bee, process of laying, 45. Eggs described. Hatching, 46. Larva, its food, its nursing. Caps of breeding and honey cells different, 47. Nymph or pupa, working. Time of gestation. Cells contracted by cocoons sometimes become too small. Queen bee, her mode of development, 48. Drone's development. Development of young bees slow in cool weather or weak swarms. Temperature above 70 deg. for the production of young. Thin hives, their insufficiency. Brood combs, danger of exposure to low temperature, 49. Cocoons of drones and workers perfect. Cocoons of queens imperfect, the cause, 50. Number of eggs dependent on the weather, etc. Supernumerary eggs, how disposed of, 51. Queen bee, fertility diminishes after her third year. Dies in her fourth year, 52. Drones, description of. Their proper office. Destroyed by the bees. When first appear, 53. None in weak hives. Great number of them. Rapid increase of bees in tropical climates, 54. How to prevent their over production. Expelled from the hive, 55. If not expelled, hive should be examined. Provision to avoid "in and in breeding," 56. Close breeding enfeebles colonies. Working bees, account of. Number in a hive, 58. All females with imperfect ovaries. Fertile workers not tolerated where there are queens, 59. Honey receptacle. Pollen basket. The sting. Sting of bees, 60. Often lost in using. Penalty of its loss. Sting not lost by other insects. Labors of workers, 61. Age of bees, 62. Bees useful to the last, 63. Cocoons not removed by the bees. Breeding cells becoming too small are reconstructed. Old comb should be removed. Brood comb not to be changed every year, 64. Inventors of hives too often men of "one idea." Folly of large closets for bees, 65. Reason of limited colonies. Mother wasps and hornets only survive Winter. Queen, process of rearing, 66. Royal cells, 67. Royal Jelly, 68. Its effect on the larvæ, 69. Swammerdam, 70. Queen departs when successors are provided for. Queens, artificial rearing, 71. Interesting experiment, 72. Objections against the Bible illustrated, 73. Huish against Huber, 74. His objections puerile. Objections to the Bible ditto, 75. Propolis or Bee Glue. Whence it is obtained. Huber's experiment, 85. Its use. Comb varnished with it. The moth deposits her eggs in it, 86. Propolis difficult for bees to work. Curious use of it by bees, 87. Ingenuity of bees admirable, 88. Fifty-four Advantages which ought to be found in an improved hive, 95-110. Some desirable qualities the movable comb hive does not pretend to! Is the result of years of study and observation. It has been tested by experience, 111. Not claimed as a perfect hive. Old-fashioned bee-keepers found most profit, etc. Simplest form of hive, 112. Bee culture where it was fifty years ago. Best hives. New hive is submitted to the judgment of candid bee-keepers, 113. Protection against extremes of Heat, Cold and Dampness. Many colonies destroyed by extremes of weather. Evils of thin hives. Bees not torpid in Winter. When frozen are killed, 114. Take exercise to keep warm. Perish if unable to preserve suitable degree of warmth. Are often starved in the midst of plenty. Eat an extra quantity of food in thin, cold hives, 115. Muscular exertion occasions waste of muscular fiber. Bees need less food when quiet than when excited. Experiment, wintering bees in a dry cellar, 116. Protection must generally be given in open air. None but diseased bees discharge fæces in the hive. Moisture, its injurious effects. Free air needful in cold weather, with the common hive, 117. Loss by their flying out in cold weather. Protection against extremes of weather of the very first importance. Honey, our country favorable to its production. Colonies in forests strong. Reasons for this, 118. 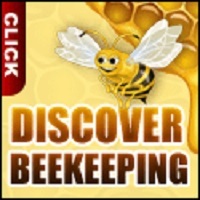 Russian and Polish bee-keepers successful. Their mode of management, 119. Objection of want of air answered, 120. Bees need but little air in Winter if protected. Protection in reference to the construction of hives. Double hives, preferable to plank. Made warm in Winter by packing. Double hives, inside may be of glass, 121. Advantages of glass over wood, 122. Advantages of double glass. Disadvantages of double hives in Spring. Avoided by the improved hive, 123. Covered Apiaries exclude the sun in Spring. Reason for discarding them. Sun, its effect in producing early swarms in thin hives. Protected hives fall for want of sun. Enclosed Apiaries, nuisances. Thin hives ought to be given up, they are expensive in waste of honey and bees, 124. Comparative cheapness of new and old hives, 125. Protector against injurious weather. Proper location of bees. Preparations for setting hives, 126. Protector should be open in Summer and banked in Winter. Cheaper than an Apiary. Summer air of Protector like forest air. In Winter uniform and mild, 127. Bees will not be enticed out in improper weather. Secures their natural heat. Dead bees, etc., to be removed in Winter. Temperature of the Protector, 128. Importance of the Protector. Its economy in food, 129. Ventilation. Artificial ventilation produced by bees. Purity of air in the hive, 130. Bad air fatal to bees, eggs and larvæ, 131. Bees when disturbed need much air. Dysentery, how produced. Post mortem condition of suffocated bees, 132. Great annoyance of excessive heat. Bees leave the hive to save the comb. Ventilating instinct wonderful, 133. Should shame man for his neglect of ventilation. Comparative expense of ventilation to man and bees, 134. Importance of ventilation to man. Its neglect induces disease, 135. Plants cannot thrive without free air. The union of warmth and ventilation in Winter an important question. House-builder and stove-maker combine against fresh air, 136. Run-away slave boxed up. Evil qualities of bad air aggravated by heat. Dwellings and public buildings generally deficient in ventilation. Degeneracy will ensue, 137. Women the greatest sufferers. Necessity of reform, 138. Public buildings should be required to have plenty of air. Improved hive, its adaptedness to secure ventilation, 139. Nutt's hive too complicated. Ventilation independent of the entrance, 140. Hive may be entirely closed without incommoding the bees. Ventilators should be easily removable to be cleansed. Ventilation from above injurious except when bees are to be moved, 141. Variable size of the entrance adapts it to all seasons. Ventilators should be closed in Spring. Downing on ventilation, (note,) 142. Swarming and Hiving. Bees swarming a beautiful sight. Poetic description by Evans. Design of swarming, 143. The honey bee unlike other insects in its colonizing habits. It is chilled by a temperature below 50 deg. Would perish in Winter if not congregated in masses. Admirable adaptation, 144. Swarming necessary. Circumstances in which it takes place. June the swarming month. Preparations for swarming. Old queen accompanies the first swarm. No infallible signs of 1st swarming, 145. Fickleness of bees about swarming. Indications of swarming. Hours of swarming, 146. Proceedings within the hive before swarming. Interesting scene. Bells and frying-pans useless, 147. Neglected bees apt to fly away in swarming. Bees properly cared for seldom do it. Methods of arresting their flight when started, 148. Conduct of bees in disagreeable hives, 149. Why bees swarm before selecting a new home. They rarely cluster without the queen. Interesting experiment, 150. Scouts to search for new abodes. Scouts sent out before and after swarming, 151. Bees remain awhile after alighting. Curious incident stated by Mr. Zollickoffer. Necessity of scouts. Considerations confirmed, 152. Re-population of the hive, 153. Inability of bees to find their hive when it has been removed. After swarms, 154. Different treatment to the cells of dead and living queens. Royal larvæ sometimes protected against the queens. Anger of the queen at such interference, 155. Second swarming, its indications. Time, 156. Double swarms. Third swarm. After swarms seriously reduce the strength of the hive. Wise arrangement, 157. After-swarming avoided by the improved hive. Impregnation of queens. Dangerous for queens to mistake their own hives, 158. Precautions against this. Proper color for hives. Time of laying eggs. None but worker eggs, the first season, 159. Directions for hiving. Hives should be painted and well dried. Bees reluctant to enter thin warm hives in the sun, 160. Management with the improved hives, 161. Drone combs should never be used as guide comb. Pleasure of bees in finding comb in their new quarters. Bees never voluntarily enter empty hives. Rubbing the hive with herbs useless, 162. Small trees or bushes in front of hives. Inexperienced Apiarian should wear a bee-dress. Moderate dispatch in hiving needful, 163. Process of hiving particularly described, 164. Old method of hiving should be abandoned, 166. Importance of speedy hiving. Should be moved as soon as hived. Curious fact stated by Dr. Scudamore, (note), 167. How to secure the queen. She does not sting. Hiving before the hives are ready, 168. Another method of hiving. Natural swarming profitable. Objections to natural swarming. Common hive gives inadequate winter protection, 169. With it, the bees often swarm too much. With the improved hive this is avoided. Disadvantages of returning after-swarms. Third objection, inability to strengthen small late swarms, 170. Evils of feeble stocks. Fourth objection, loss of queen irreparable. By the new hive her loss is easily supplied, 171. Fifth, common hives inconvenient when bees do not swarm. This objection removed by the new hive. Sixth, the ravages of the moth easily prevented by the improved hive. Seventh, the old queen, when infertile, cannot be removed or replaced. Both can be done by the new hive, 172. Artificial Swarming. Numerous efforts to dispense with natural swarming. Difficulties of natural swarming. First, many swarms are lost, 173. Second, time and labor required. Sabbath labor, 174. Perplexities to farmers. Third, large Apiaries cannot be established, 175. Fourth, uncertainty of swarming. Disappointments from this source, 176. Efforts to devise a surer method, 178. Columellas's mode of obtaining swarms. Hyginus. Small success which attended, those efforts, Schirach's discovery, 179. Huber's directions. Not adapted to general use. Dividing hives in this country unsuitable. Bees without mature queens make no preparation to rear workers, 180. Dividing hives to multiply colonies will not answer, 181. Huber's hive even, inadequate. Common dividing hives unsuccessful. Multiplying by brood comb in an empty hive, vain, 182. Multiplying by removal and substitution useless. Mortality of bees in working season, 183. Connecting apartments a failure, 184. Many prefer non-swarming hives, 185. Profitable in honey but calculated to exterminate the insect. Improved hive good non-swarmer, if desired. Disadvantages of non-swarming. Queen bee becomes infertile. Remedied by the use of the improved hive, 186. Practicable mode of artificial swarming, 187. Bees will welcome to their hives strange bees that come loaded. Will destroy such as come empty, 188. Forced swarming requires knowledge of the economy of the bee-hive. Common hives give no facility for learning the bee's habits. Equalizing a divided swarm, 190. Bees in parent hive, if removed, to be confined and watered, 191. Bees removed will return to their old place. Supplying bees with water by a straw. Water necessary to prepare food for the larvæ, 192. New forced swarms to be returned to the place of the old one, or removed to a distance. Treatment to wont them to new place in the Apiary, 193. Bees forget their new locations. Objection to forced swarming in common hives, 194. Forced swarming by the new hives removes the objection. Mode of forcing swarms by the new hives, 195. Queen to be searched for. Important that she should be in the right hive, 196. Convenience of forced swarming in supplying extra queens. Mode of supplying them. Should be done by day light and in pleasant weather, 197. Honey-water not to be used. Safety to the operator. Forced swarming may be performed at mid-day. Advantages of the shape of the new hive, 198. Huber's observation on the effect of sudden light in the hive. True solution of the phenomenon. Bees at the top of the hive, less belligerent than those at the bottom, 199. Sudden jars to be avoided. Removal of honey-board. Sprinkling with sugar-water, 200. Loosening the frames. Removing the comb. Bees will adhere to their comb, 201. Natural swarming imitated. How to catch the queen. Frames protected from cold and robbery by bees. Frames returned to the hive. Honey-cover, how managed. Motions of bee-keeper to be gentle. Bees must not be breathed on. Success in the operation certain, 202. New colonies may be thus formed in ten minutes. Natural swarming wholly prevented. If attempted by the bees cannot succeed. How to remove the wings of the queens, 203. Precaution against loss of queen by old age. Advantages of this, 204. Certainty and ease of artificial swarming with the new hive. After-swarms prevented if desired, 205. Large harvests of honey and after-swarming impracticable. Danger of too rapid increase of stocks. Importance of understanding his object, by the bee-keeper, 206. The matter made plain, 207. Apiarians dissuaded from more than tripling their stocks in a year. Tenfold increase of stocks attainable, 209. Certain increase, not rapid, most needed. Cautions concerning experiments, 210. Honey, largest yield obtained by doubling colonies. The process, 211. May be done at swarming time. Bees recognize each other by smell, 213. Importance of following these directions illustrated. Process of uniting swarms simplified by the new hive, 214. Very rapid increase of colonies precarious. Mode of effecting the most rapid increase, 215. Nucleus system, 217. Can a queen be raised from any egg? Two sorts of workers, wax workers and nurses, 218. Probable explication of a difficulty, 219. Experimenting difficult work. Swarming season best time for artificial swarming. Amusing perplexity of bees on finding their hive changed, 220. Perseverance of bees. Interesting incident illustrating it, 221. Novel and successful mode of forming nuclei, 223. Mode of managing nuclei, 225. Danger of over-feeding. Increasing stocks by doubling hives, 229. Important rule for multiplying stocks. How to direct the strength of a colony to the rearing of young bees, 230. Proper dimensions of hives. Reasons therefor, 231. Easy construction of the improved hive. Precaution of queen bees in their combats, 234. Reluctance of bees to receive a new queen. Expedient to overcome this. Queen nursery, 235. Mode of rearing numerous queens, 237. Control of the comb the soul of good bee-culture. Objection against bee-keeping answered, 238. No "royal road" to bee-keeping. A prediction, 239. Enemies of Bees. Bee-moth, its ravages. Defiance against it, 240. Its habits. Known to Virgil. Time of appearance. Nocturnal in habits, 241. Their agility. Vigilance of the bees against the moth. Havoc of sin in the heart, 242. Disgusting effects of the moth worm in a hive. Wax the food of the moth larvæ. Making their cocoons, 243. Devices to escape the bees. Time of development, 244. Habits of the female when laying eggs. Of the worm when hatched, 245. Our climate favorable to the increase of the moth. Moth not a native of America, 246. Honey, its former plenty. Present depressure of its culture. Old mode of culture described, 247. Depredations of the moth increased by patent hives. Aim of patent hives. Sulphur or starvation, 249. Feeble swarms a nuisance, 250. Notion prevailing in relation to breaking up stocks. Improved hives valueless without improved system of treatment, 251. Pretended secrets in the management of bees. Strong stocks thrive under almost any circumstances, 252. Stocks in costly hives. Circumstances under which the moth succeeds in a hive, 253. Signs of worms in a hive, 254. When entrenched difficult to remove. Method of avoiding their ravages, 255. Combs having moth eggs to be removed and smoked, 257. Uncovered comb to be removed, 258. Loss of the queen the most fruitful occasion of ravages by the moth. Experiments on this point, 259. Attempts to defend a queenless swarm against the moth useless, 260. Strong queenless colonies destroyed when feeble ones with queens are untouched. Common hives furnish no remedy for the loss of the queen. Colonies without queens will perish, if not destroyed by the moth, 261. Strong stocks rob queenless ones. Principal reasons of protection, 262. Small stocks should have small space. Inefficiency of various contrivances, 263. Useful precautions when using common hives. Destroy the larvæ of the moth early. Decoy of a woolen rag, 264. Hollow or split sticks for traps. If the queen be lost, and worms infest the colony, break it up. Provision of the improved hives against moths, 265. Moth-traps no help to careless bee-keepers. Incorrigibly careless persons should have nothing to do with bees, 266. Worms, how removed from an improved hive. Sweet solutions useful to catch the moths. Interesting remarks of H. K. Oliver, on the bee-moth, 267. Ravages of mice. Birds. Observations on the king-bird, 269. Inhumanity and injurious effects of destroying birds, 270. Other enemies of the bee. Precautions against dysentery. Bees not to be fed on liquid honey late in the season. Foul brood of the Germans, 271. Produced by "American Honey." Peculiar kind of dysentery, 272. Honey. Pasturage. Overstocking. Honey the product of flowers, 342. Honey dew. Aphides, 343. Qualities of honey, 345. Poisonous honey. Innoxious by boiling. Preserving honey, 346. Modes of taking honey from the hive. Objections to glass vessels, 347. Pasteboard boxes preferred. Honey should be handled carefully. Pattern comb to be used in the boxes. Honey safely removed, 348. Should not be taken from the bees in large quantities during honey harvest. Pasturage, 349. The Willow. Sugar Maple and other honey-yielding trees, 350. Linden tree as an ornament. White clover, 351. Recommended by Hon. Frederick Holbrook as a grass crop, 352. Sweet-scented clover, [xiv] 363. Hybrid clover front Sweden, 354. Buckwheat. Raspberry, 355. Garden flowers. Overstocking, 356. Little danger of it. Bee-keepers and Napoleon. No overstocking in this country. Letter from Mr. Wagner on the subject, 357. Flight of bees for food, 361. Advantages of a good hive in saving time and honey. Energies of bees limited. Bees injured by winds, 362. Protector saves them from harm. Estimated profits of bee-culture. Advice to the careless, 363. Value of Dzierzon's system. Adopted by the government of Norway. Want of National encouragement to agriculture, (note), 364. Anger of Bees. Remedy for their Sting. Bee-Dress. Instincts of Bees. Gentleness of the bee, Feats of Wildman. Interesting incident, Discovery of a universal law. Its importance and results, 367. Cross bees diseased. Never necessary to provoke a whole colony of bees, 368. Danger from bees when provoked. A word to females, Kindness of bees to one another. Contrast with some children, Effects of a sting. The poison, 371. Peculiar odors offensive to bees. Precautions against animals and human robbers, 372. Sense of smell in the bee, 373. By this they distinguish their hive companions. Robbers repelled by odors, 374. Stocks united by them, 375. Warning given by bees before stinging. How to act when assaulted by bees, 376. Remedies for the sting, 377. Bee-dress, 380. Instincts of bees, 381. Distinction between instinct in animals and reason in men. Remarkable instance of sagacity in bees, 383. Facilities afforded by the Author's Improved Observing Hive. Indebtedness of the author to S. Wagner, Esq., 384.